In my experience rural Africans live largely in a world of sound, where reality resides predominantly in what is heard and said. 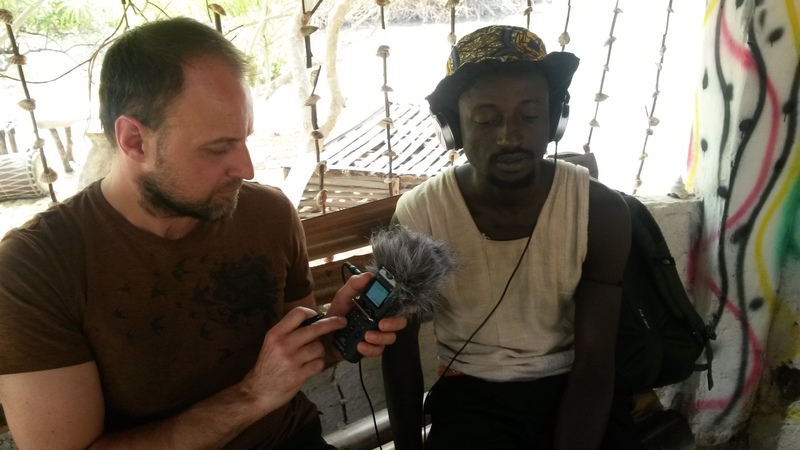 Foli (a mandinka word describing speech or to produce music) is an ongoing project, which explores phonetic descriptive sounds of translated drum patterns. In West African culture, phonetic speech is still the traditional method of teaching percussion, passing on ancestral music through oral tradition. The vocabulary of music is described through the lips of the speaker, providing a physical description of how the sound would occupy space in the external world. In my enquiry I am working with Mamadou Camara, a musician who I work with co-managing the group Kouma Kan Africa, and who has taught me traditional West African drum rhythms through phonetic speech since 2012. We selected three rhythms, Soko, Dunumba and Komodenu, which were also chosen for the project 'Spearman', a project which was premiered in February 2017 at the Kartong International Festival, performed by myself with Kouma Kan Africa and audio visual artwork presented in collaboration with English artist Kye Wilson.